In Stock and down to the last remaining ones! 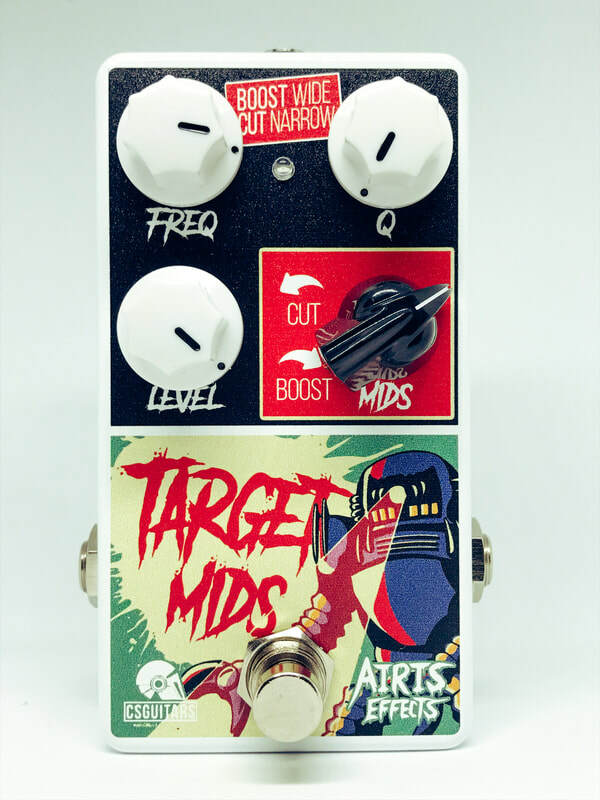 Built for Colin at CS Guitars, the Target Mids is a full control parametric equalizer centered around the most prominent mid frequencies of a guitar tone (1400hz to 2700hz). In front of the amp it works as a fully adjustable clean boost. In the effects loop it allows you a ton of range to dial in the perfect mids on any amp. Get rid of an annoying honk, add some crunch, full on djent mode and everything in between!